We arrived Yunnan in March and have been staying for more than one month. 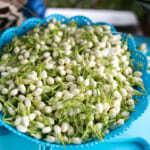 In Lincang, spring tea starts around 20th of March. 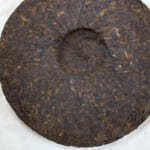 On the other hand, certain teas only available for the first plucking in May. 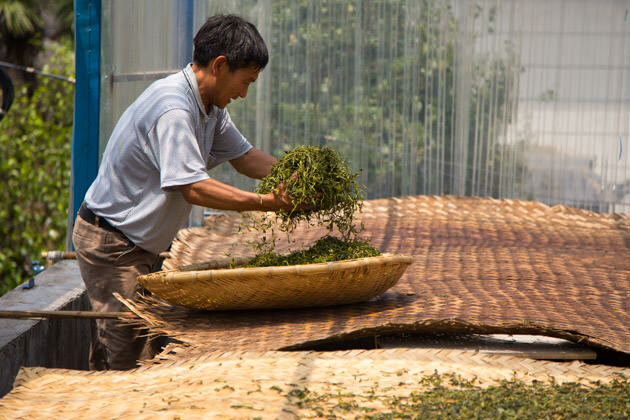 As much people cherish the earliest fresh tea of the year, little people know that the higher the quality of tea, the later in the season it grows. 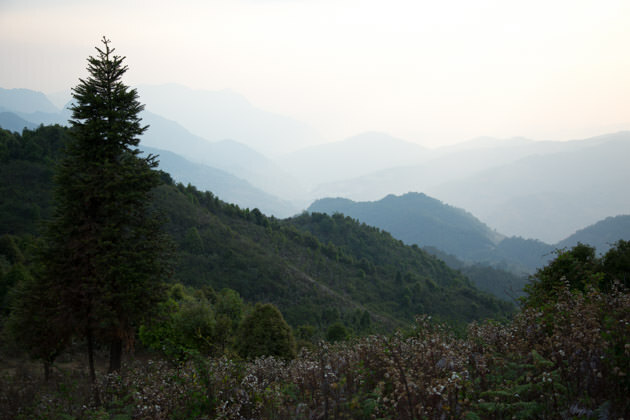 This is the reason we stayed in Yunnan for a long time in order to secure the quality material. 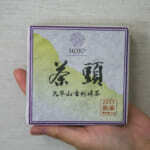 It is well-known fact that the first-plucked spring tea is the best in quality. 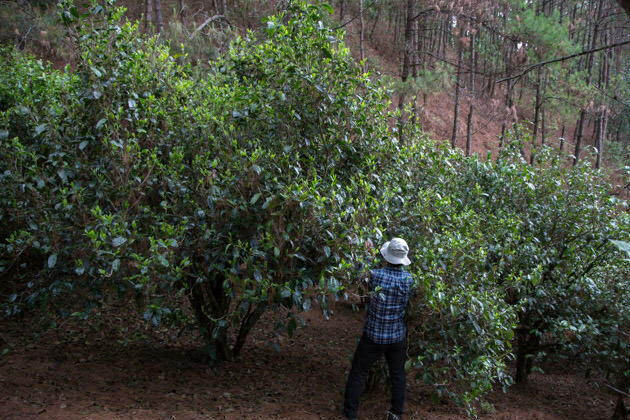 After the first spring tea is plucked, tea will develop the next bud again and it is so-called the second flush or second plucking.In the south of Yunnan, they can pluck nearly 10 times a year if they continue plucking. Many people tend to think that the earlier the plucking, the better the quality. It is definitely true that the first plucking is the best. However, this theory only works within the same tea tree. 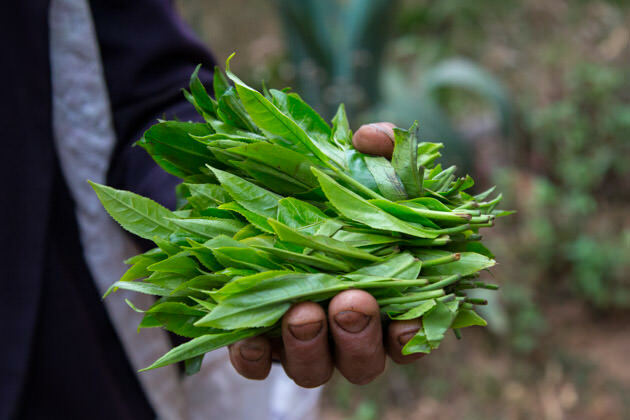 If we compare the first-plucked tea within the same region, the tea available later for the first-plucking is obviously of higher quality. It is the same as the meat of animal or fish. For example, farm fish grows faster and its taste is much lighter. 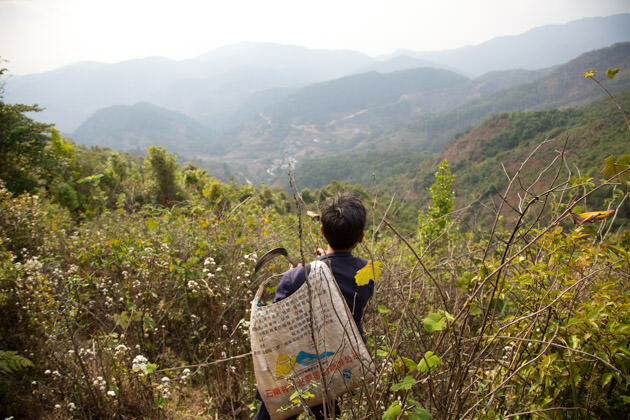 When I stay in Japan in spring, I love to go to mountains for collecting wild herbs. I observed exactly the same trend. In the beginning of season, the budding of wild herbs begins from lower altitude. The herbs from the higher altitude, particularly those from older tree grow slowly and it’s only available nearly a month later. These later-grow wild herbs have extraordinarily thick taste, with three-dimensional mouth-feel and lingering sweetish taste on our palate. In Asia, people tend to chase after the early crop. But we must bear in our mind that as long as it is the first plucking, the later the season, the better the quality. 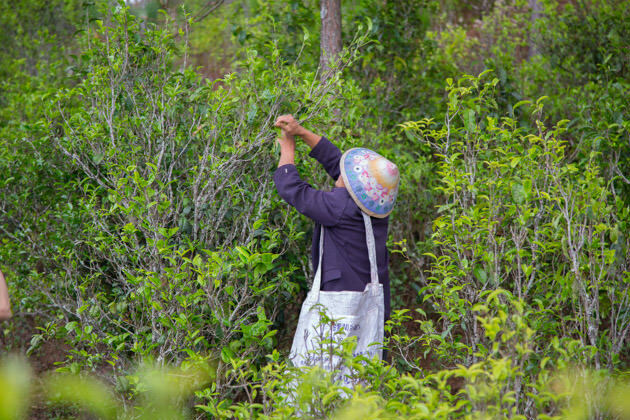 The main factors affecting the growing speed of tea is altitude, latitude, age of tea tree and fertilizer. In particular, I am very interested in the old tea tree grown without fertilizer and at high altitude. At high altitude above 2200m, the plucking of the first flush starts in May. Some very old tea trees do not even produce the spring tea yet in the mid of May. However, the budding of fertilized tea tree is pretty much faster even if tea garden is located at higher altitude or tea tree is very old. If there is rainfall in May, the second leaf of tea tree at lower altitude starts growing. Some manufacturers may blend the second-plucked leaf with the first-plucked leaf. So, it is very important for us to clearly manage the source of tea. 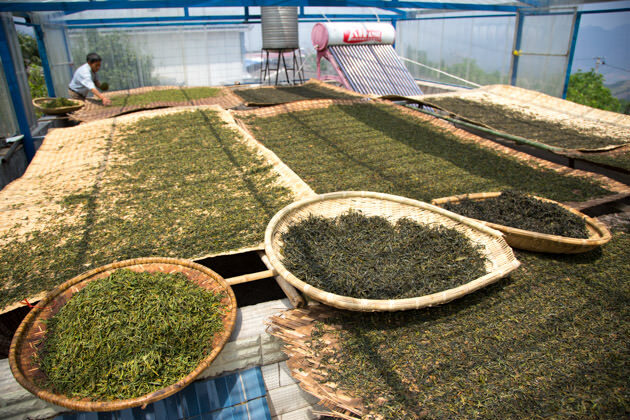 We know that the first plucked tea grown later stage is of extremely good quality. However, this premium quality is not available every year. In Lincang, there is often heavy rainfalls after mid of April. 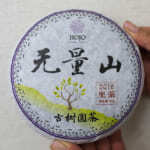 If rain continues for a long time, all kinds of tea regardless of old tree or tea at higher altitude will grow rapidly. As a result, the quality will significantly decrease. So, it’s like a “gambling” for us to decide in which timing we should purchase tea. In 2017, the rain started after mid of April and continued until end of May. 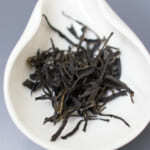 As we were aware of the abnormal weather, we have completed the sourcing of tea by mid of April. If we had been waiting for tea until the end of May, we might not have purchased sufficient tea last year. In contrast, this year the weather forecast looked quite good. 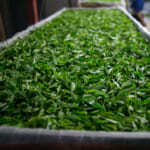 Moreover, due to extremely dry weather in the beginning of this year, tea was growing very slowly. 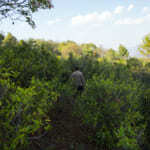 In particular those tea trees grown without fertilizer at high altitude, until May the budding was not even started. So, we decided not to purchase a lot of tea in April. 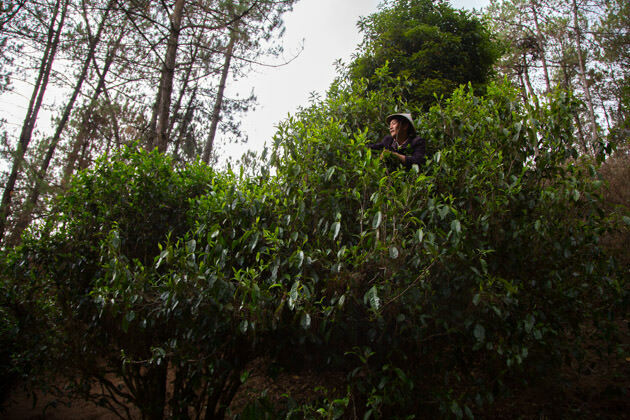 Instead, we had spent our time visiting many tea gardens to inspect the environment condition and quality, and we have conducted series of trial-run for improving the production process. This year we were good in luck. On the first week of May, there was rain for about three days and then stopped. 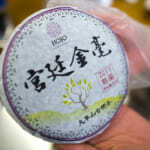 Therefore, in May, we are able to collect the first-pluck tea from the old trees or high mountain tea. 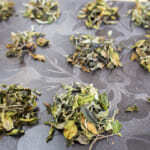 Soon we will release some of these teas.